Many of the studies that we selected for the Top 100 list are from pastors of large churches in the United States. These churches have made small groups a centerpiece in the purpose or mission for their church. Therefore, these pastors often tie their weekend message sermons into the small group series that their entire church is doing (called a small group church-wide campaign). Because of that fact, many of the studies in the Top 100 can be even more compelling and useful when group members watch the weekend messages, in addition to the small group sessions. You can find the weekly messages in a couple different places. First on the church website for a given pastor…. 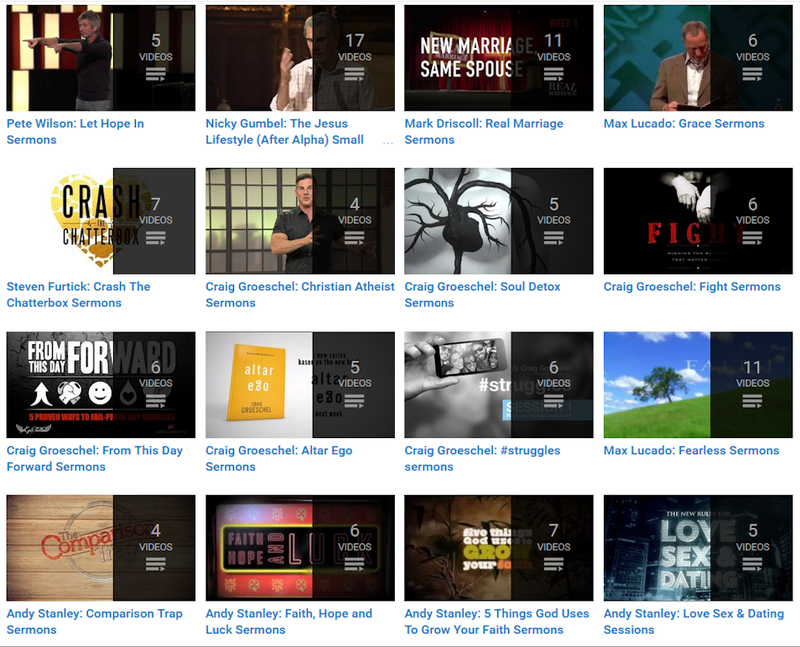 The second place to find messages is on our Youtube Channel where we have put together playlists with sermons for many of the Top 100 Bible Studies featured here at Small Group Advisor.